Retired Lt. 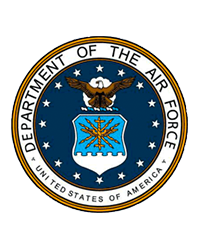 Colonel Clayton E. Tillapaugh, USAF, 97, went to his eternal rest with God on Wednesday, November 14, 2018 at Greenfield Assisted Living of Fredericksburg Virginia, where he had resided for many years. Clayton was the youngest of five children and was born in Mineral Springs, New York on July 7, 1921 to Edwin Ray Tillapaugh and Helen Mary (Smith) Tillapaugh. He was a graduate of Clarkson Tech in Potsdam, now Clarkson University, he was awarded a Bachelor of Science Degree in Mechanical Engineering. While attending Clarkson, the attack on Pearl Harbor prompted Clayton to enlist in the Army Air Corp. He fought as a Fighter Pilot in the North African and Mediterranean Theatres. Upon his tour completion, he returned to the U.S. in California to train new pilots. He was later assigned a tour assignment to the Pacific Theatre fighting in in the Philippines and Japan. His passion for flying allowed him the privilege to pilot many aircraft, the P38Lightning was his favorite. He continued to serve our country in the U.S. Air Force until his retirement on August of 1968, then began his civilian capacity for the Army as a Field Test Engineer vital to the development of many weapons systems. His military career allowed him the privilege to travel and live all over the world, but time served was mostly in the Washington, D.C. area. He was an expert marksman and was a member of several NRA teams. An avid motorcyclist, he enjoyed riding up into his eighties. Clayton was preceded in death by his wife of 66 years, Beverly Ruth Hebert of Lawyersville, NY, who died in February of 2015, a daughter, Nancy Kelly, who died in 1989, his three brothers, Edwin, Charles and Walter, as well as his sister, Alice Adele Caine. Clayton is survived by his two daughters Theresa Pugh of Fredericksburg, VA and Helen Owens of Berlin, MD, six grandchildren, and eight great-grandchildren. A Mass of Christian Burial will be celebrated at a 11 AM on Thursday, May 2, 2019 at St. Vincent de Paul Catholic Church in Cobleskill with a military burial to follow at St. Vincent De Paul Cemetery 151 Quarry Street, in Cobleskill, New York. Memorial contributions may be made to the Wounded Warrior Project at 4899 Belfort Road, Suite 300 Jacksonville, Florida 32256. Clayton will always be remembered for his mischievous grin, twinkle in his eyes, wit and sense of humor. He was a ray of sunshine and we all loved him dearly. Arrangements have been entrusted to Mereness-Putnam Funeral Home, 171 Elm St., Cobleskill. There's still time to send flowers to the Mass of Christian Burial at the St. Vincent de Paul Catholic Church (Cobleskill, St. Vincent De Paul Cemetery 151 Quarry Street, New York) at 11:00 AM on May 2, 2019.